SINGING ROCK invites you to INTERSEC Dubai 2017, the leading international meeting platform for the security and safety industry. The event takes place in Dubai, United Arab Emirates, on 22 - 24 January 2017. 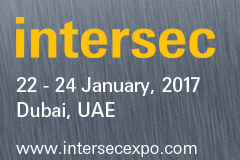 At Intersec, you'll find all the industry's latest trends, cutting-edge innovations and new products. With the globally unrivalled range of products, from major brand manufacturers, international newcomers and many others, Intersec is the most important business platform worldwide and the no. 1 in the MENA region. You will find Singing Rock products for work at height, rescue and military at the booth 8-C12 of the Global Climbing Trading company. If you are responsible for security or safety, Intersec is the must attend event for you!